In September 2004, I joined The Institute of Classical Architecture & Classical America on an four day tour of the Berkshires’ aging “cottages” of the Gilded Age. Bunny Williams, as a member of the board, was gracious enough to host all of us at her home and gardens in Connecticut. Unfortunately, the photos I took are all outdoor shots. I don’t remember why. Maybe I thought it would be rude to photograph the interiors. Maybe we were told not to. I just don’t remember. I won’t be posting all of these photos today. Instead they will be used at different times in the future to illustrate a point. (above) Note how the building’s color allows it to blend in with its environment. When it came to choosing colors for my garage, my architect gave me two suggestions. 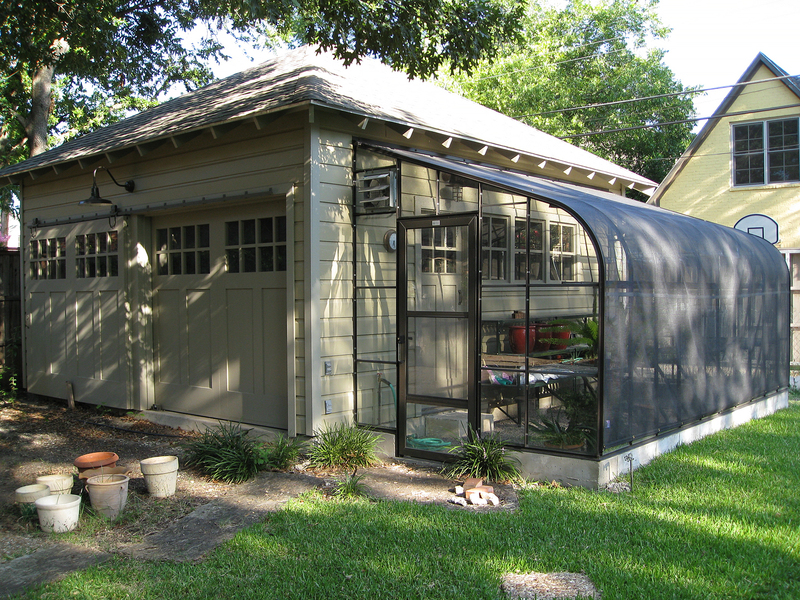 The first one being to paint it the same color as the wood boards of my house (cream), or as the second choice, allow the building to blend in with its natural surroundings (too nice of a description for my unsightly backyard). I chose the latter. 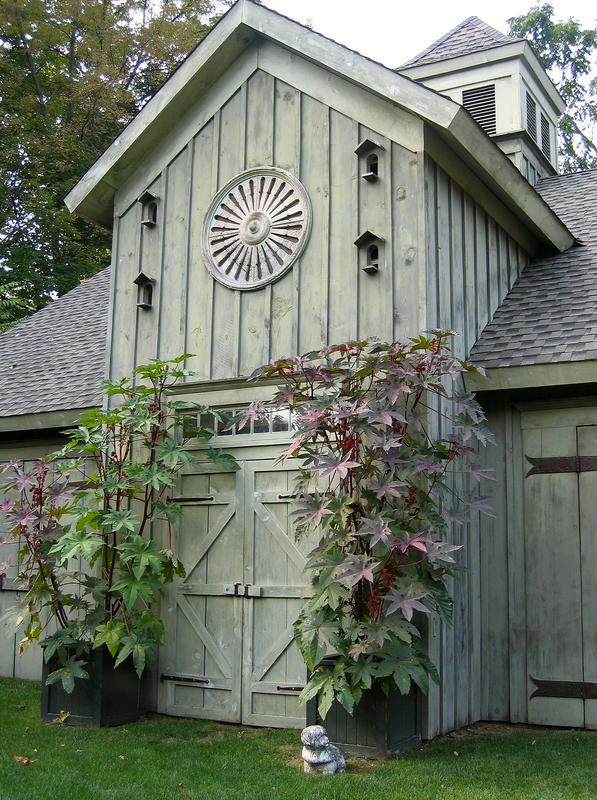 Now, after going through all these old photos, I realize that Bunny chose the same color concept for her outbuildings. A lucky and happy coincidence for me. (above) Charley McKenney, my architect, chose three greens. A dark gray green for the doors, a lighter gray green for the trim, and a yellow green for the walls. It’s all very subtle and changes depending on the time of day. 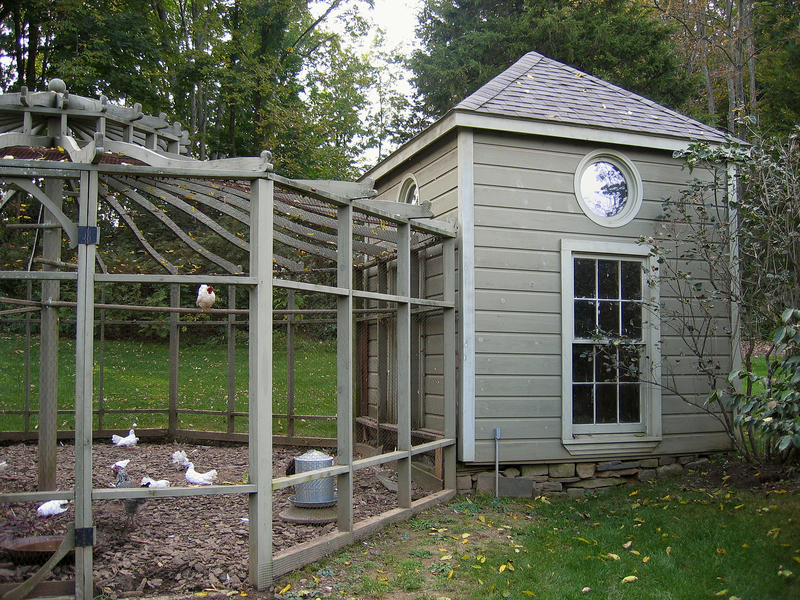 (above) Bunny’s aviary contained two identical pavilions with a gazebo-like structure between them. Here, the building’s trim appears to be a lighter green than its walls. These birds seem to have a better looking home than most of us. Previous post What Is that Funky Finish?